Fans in New York, L.A., Chicago, and London will have a chance to grab the publication. Frank Ocean shows no signs of slowing down with the release of his new music and all the visuals that come with it. 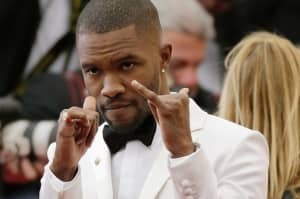 Less than 24 hours after the release of the music video for his newest track, "Nikes," Ocean's boysdontcry.co website has been updated with an announcement for a long-awaited companion magazine. The launch will take place today at stores in New York, L.A., Chicago, and London and according to Pigeons and Planes, barriers are already being set up by police for what is sure to be an absolute feeding frenzy. Peep the poster above for the location of all four pop-ups. Update: Twitter user @dharmicX appears to have been in the right place at the right time and one of the first to enter their local pop up shop. 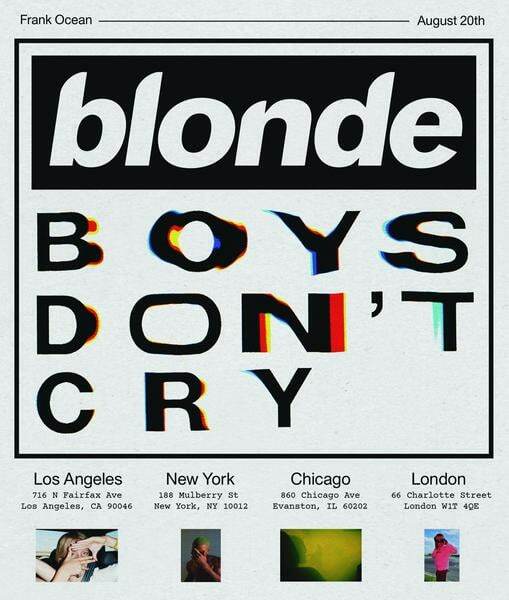 According to them, each person will get a Boys Don't Cry book for free. They also tweeted the following image of the features in the magazine, which include Wolfgang Tillmans, Kanye West, artist Tom Sachs, "Nikes" director Tyrone Lebon, and others who've worked on the new album. Update 2: According to Pigeons and Planes, each magazine will come with a copy of Frank Ocean's new album.